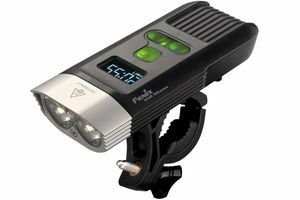 This page has a chronological list of all reviews published on The Bike Light Database. 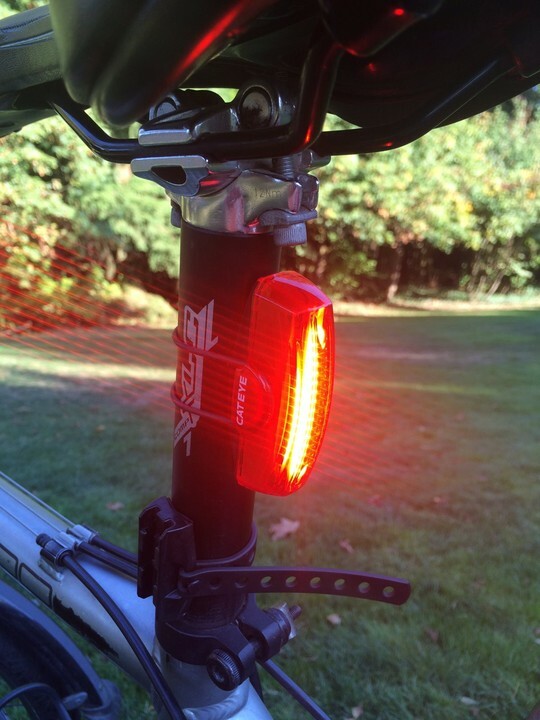 Looking for a list of recommended bike lights? Check out the Best Headlights and Best Taillights lists for our top picks! 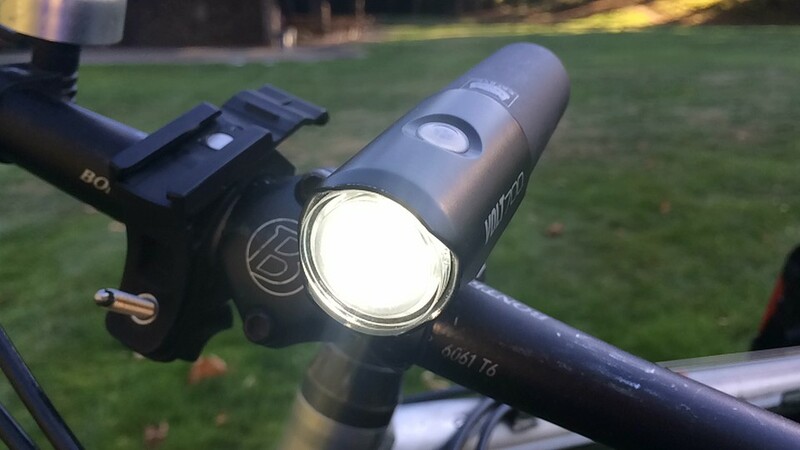 The Fenix BC series lights are handlebar mounted bike lights with internal rechargeable batteries. The BC30R contains an integrated, non-user-accessible rechargeable lithium battery pack. 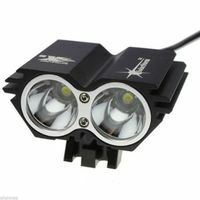 There are two LEDs to provide a dual beam system with both flood and spot optics. Review by Nathan Hinkle, Dec. 14, 2015, 6 a.m. The Fenix BC30, which we recently reviewed, is a great choice for anybody wanting the best in battery flexibility. Whereas the BC30 uses two 18650 batteries which the user must provide and charge themselves, its fraternal twin the BC30R has batteries built in and uses USB charging. 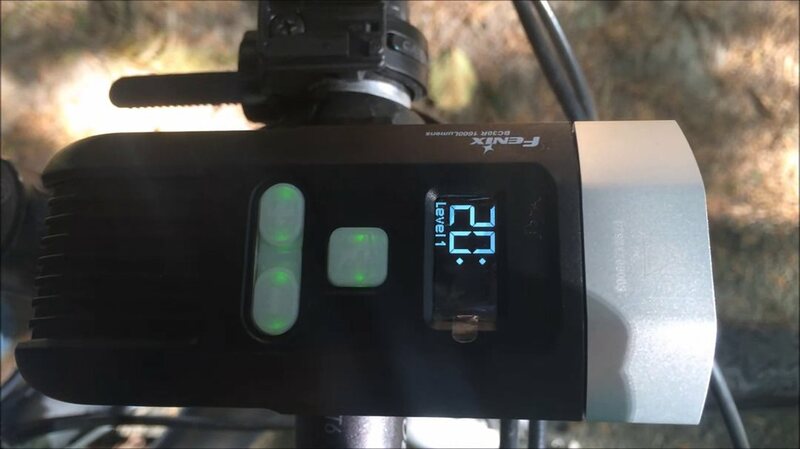 The BC30R also offers a nifty OLED battery life meter, similar to those found in the MagicShine Eagle 600 and the NiteRider Lumina 800 OLED. For riders who want a light with great output and a long battery life, but don’t want the hassle of dealing with rechargeable batteries themselves, the BC30R is a strong choice. The most noticeable distinct feature of the BC30R is its large OLED screen which displays the remaining battery life. The system is simple and easy to use. There are three buttons on the top of the light – a main power button, a (+) button, and a (-) button. As you might expect, the (+) and (-) increase and decrease the light's output. This is great because you don't need to cycle through all of the modes to switch between a higher and lower setting. As you switch modes, the OLED screen displays "Level n" in the lower corner. Within a few seconds of switching modes, the screen will update to show the estimated runtime remaining. The OLED screen is backlit, so you can see it at night. The backlight brightens when you push a button and dims again after a few seconds to preserve battery life and not be distracting. The display only shows a time estimate; as far as I know there is no way to display a percentage value. Fortunately, the time estimate seems to be very precise, which will be discussed more in the battery section below. 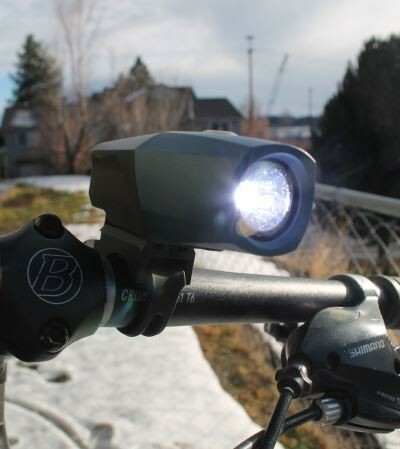 The BC30 has a dual LED system for both a flood and spot beam. It uses two 18650 batteries inside the main light housing. The batteries are not included, but some merchants sell bundles with various battery options. Review by Nathan Hinkle, Nov. 7, 2015, 4:30 p.m.
Fenix is a popular manufacturer of high-powered and reliable flashlights. 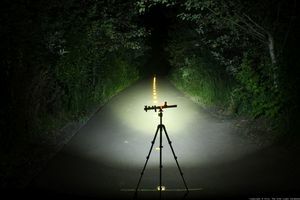 The company has recently started producing lights specifically designed for biking, but with designs heavily influenced by the prosumer flashlight market. The BC30 is a single piece light containing two 18650 lithium batteries and two Cree LEDs. These form a "dual distance" optic which combines a flood and throw pattern. The light is advertised as an 1800 lm light, but the maximum sustained output is only 1200 lm. A remote switch is included which boosts the output to 1800 lm when the button is depressed. The BC30 is large and heavy, but offers a level of flexibility not found in many other headlights. Read on for an introduction to modern rechargeable batteries, or if you're already an 18650 fan, skip to the full review of the light. Review by Nathan Hinkle, Oct. 27, 2015, 6 a.m.
Cateye's rechargeable headlight series, the Volt, has been around for a few years now. After receiving several requests to review these lights, I’m excited to finally have one in hand. The Volt 700 is the top-end model; a review of the entry-level Volt 100 is also on its way. 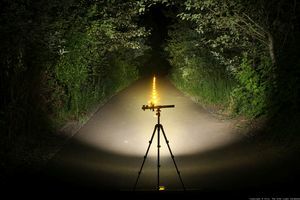 This light stands out from the crowd, featuring a removable USB-rechargeable battery which can be charged even when not attached to the light, and enhanced optics to spread the light evenly over the road. At full power the Volt 700 is bright enough for almost any type of riding, including nighttime trail riding. For rides in the city where some street lighting is present the medium or even low modes are enough to illuminate potholes and debris when traveling at a moderate speed. Cateye's "opticube" lens creates a rectangular beam, spreading the light out across the path in front of you and reducing the amount of light wasted illuminating the sky above you. It doesn’t have a sharp beam cutoff, so you should still be mindful of how you aim it to avoid blinding oncoming traffic. 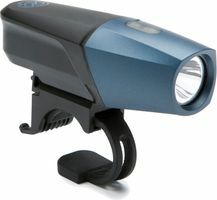 A small side cutout gives some off-axis visibility, although not nearly as much as lights with full side lighting like the Bontrager Ion 700 and the L&M Urban. Review by Nathan Hinkle, Oct. 19, 2015, 6 a.m. The original Cateye Rapid X did not impress me – its small size and weight necessitated weak output and a very short battery life, and the rubber band mount was difficult to use and keep track of. The new Rapid X2 is a significant improvement in many ways. The output has been increased from 15 to 50 lumens, making the light bright and visible, day and night. Unfortunately the mount is still problematic, but for certain applications the Rapid X2 is a strong choice for a taillight. Read on for the full review. The Rapid series has always offered a wide range of flash patterns. With 6 different modes it’s a bit much to choose from, but there’s a good mode for almost any situation. A low-brightness steady burn mode and a subtle pulsing mode are both good options to prevent blinding other cyclists nearby. The rapid flashing mode and the fast flashing mode are great for visibility in busy traffic, and are attention-grabbing even in broad daylight. The light remembers the last mode used. A single press of the button cycles through the pattern options and a long press turns the light on or off. The Flare R is a rechargeable taillight. 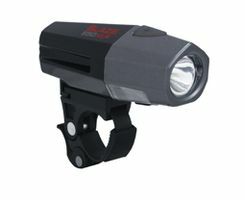 It has two steady burn modes with the brightest at 25 lumens, and two flash modes which both peak at 65 lumens. The light is specifically designed for flashing daytime visibility, and has amber side LEDs to be seen from all directions. 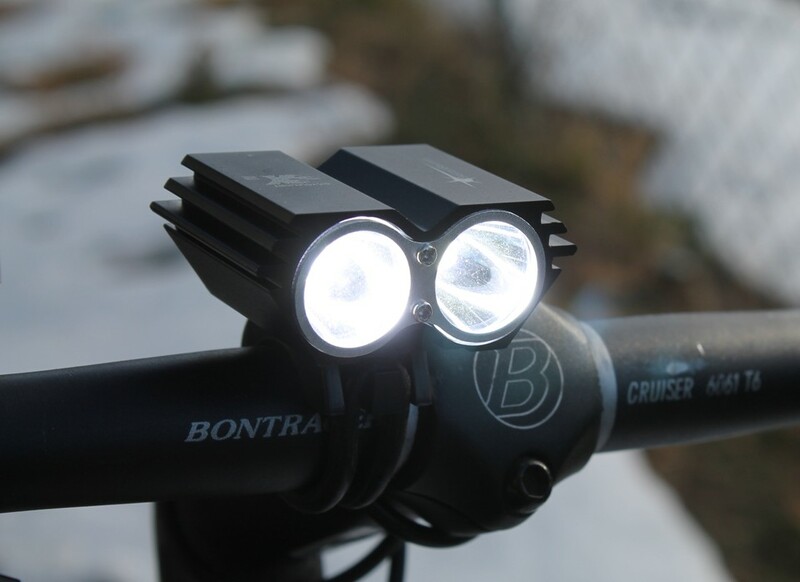 Review by Nathan Hinkle, Aug. 27, 2015, 6 a.m.
Bontrager recently entered the high-powered bike light market with a bang – their Ion 700R headlight quickly made its way to our top headlights recommendations list for its sleek design, nice optics, good mount, and excellent value. 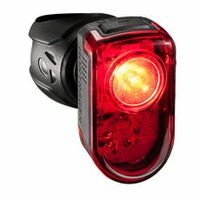 The Flare R is Bontrager's first attempt at a modern taillight, and features many of the same well thought-out designs that were introduced with the Ion. The competition is tough though, especially for a $60 light, so let's see how the Flare fares. 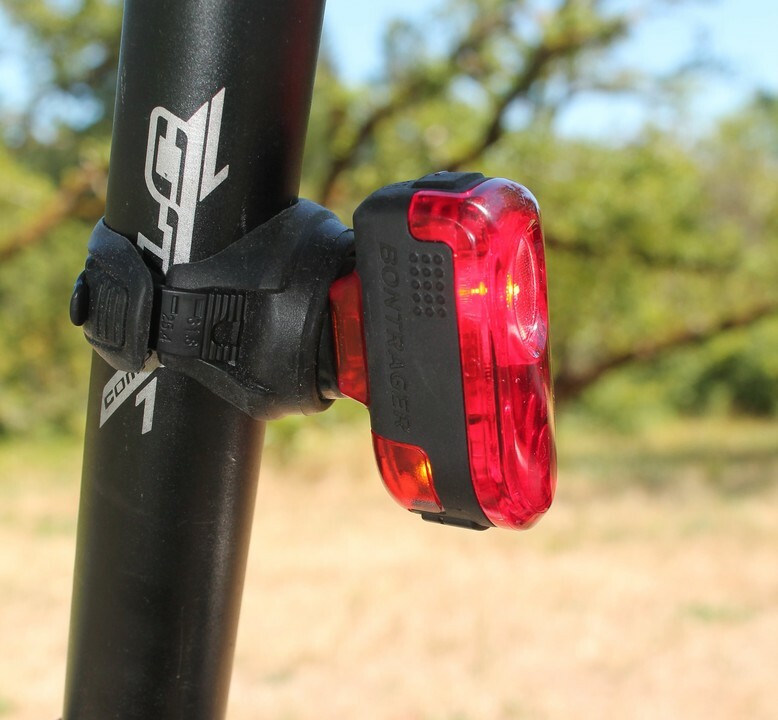 First, to clear up any confusion: Bontrager advertises the Flare as being a 65 lumen light, but that's only in the highest daytime flash mode. 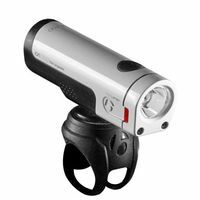 The steady-high mode only puts out 25 lumens, putting it on par with lights like the Cygolite Hotshot. 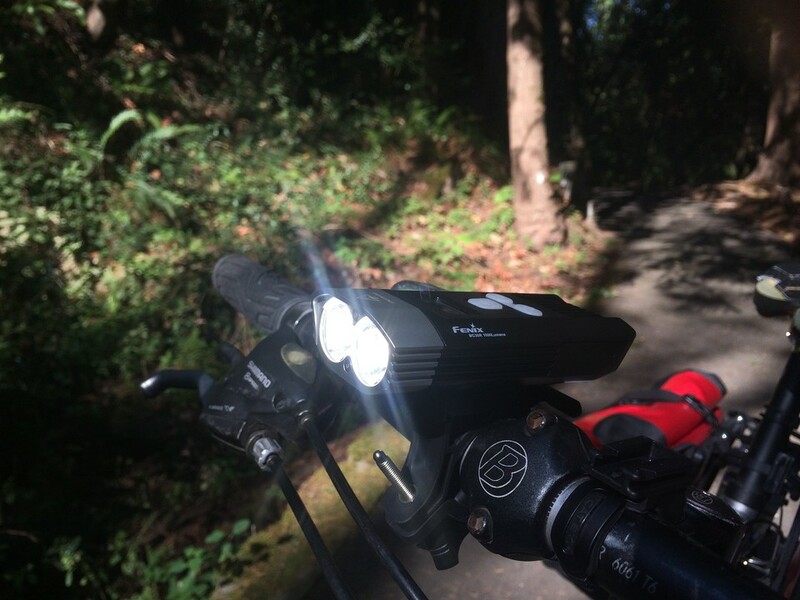 To be clear, 25 lumens is not bad for a steady mode, especially at night, but the prominence of the "65 lumen" advertising feels slightly misleading. We'll get to the details of those flash modes in a moment. 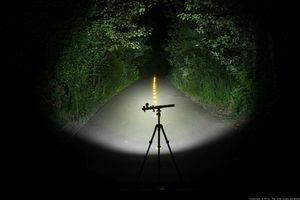 Review by Nathan Hinkle, Aug. 26, 2015, 6 a.m.
Nobody likes being blinded when riding or driving at night, and as bike light LEDs get brighter and brighter, this is increasingly a concern for road users of all types. 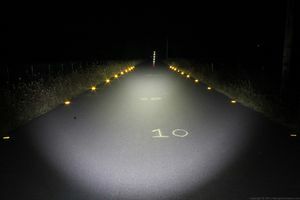 Most bike lights, even those costing hundreds of dollars, have symmetrical beams which shine equal amounts of light above and below the device. 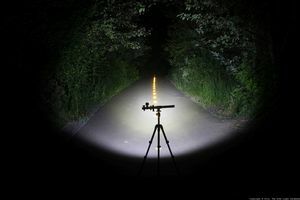 The result is that significant light is wasted by shining far above where the rider needs to see, and as a side effect, the glare can disorient oncoming traffic. Most dynamo lights conform to strict standards which require a horizontal beam cutoff, but few single-piece battery-powered lights do, especially those costing less than several hundred dollars. 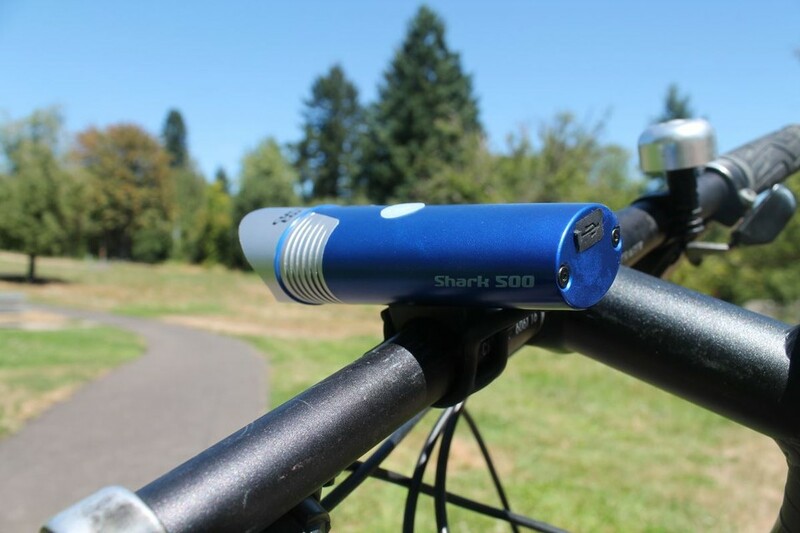 Cycle Torch's new Shark 500 light seeks to change that, introducing a low-cost light with a horizontal beam cutoff to prevent distracting other road users. Read the full review to find out how well it works. Dozens of vendors sell rebranded versions of this light on eBay, Amazon, and elsewhere. The lighthead is nearly identical on all variations, consisting of two Cree XM-L2 U2 LEDs and a single mode selection/power button. The battery pack varies significantly from supplier to supplier and even within products from a single vendor. Other names for this light include "SolarStorm X2" and "SecurityIng". 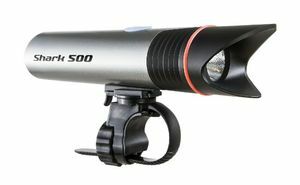 Vendors claim anywhere from 2000 to 5000 lumens output, though actual output is about 1000 lumens on the highest setting. Review by Nathan Hinkle, May 4, 2015, 6 a.m. . Updated Aug. 24, 2015. It's difficult to review this light because there are so many different variations. I purchased the unit I reviewed on Amazon from a vendor which no longer even exists, but dozens of others have popped up to take its place. And that is the very issue with these lights: you never quite know what you're getting. They all look the same, are all made by generic manufacturers in cheap Chinese factories, and none of them have a reputable company backing up the product. You could order 10 of these lights from 10 different vendors and get different performance, build quality, and longevity – and there's no way to tell how good a particular light will be until it shows up. Updated August 2015 with information about battery safety. NOTE: This product may be dangerous! For safety reasons we do not recommend purchasing generic lights from unreliable manufacturers. Review by Nathan Hinkle, Feb. 23, 2015, 6 a.m. Most cyclists will recognize Bontrager, or at least its parent company Trek – one of the largest bicycle companies in the world. 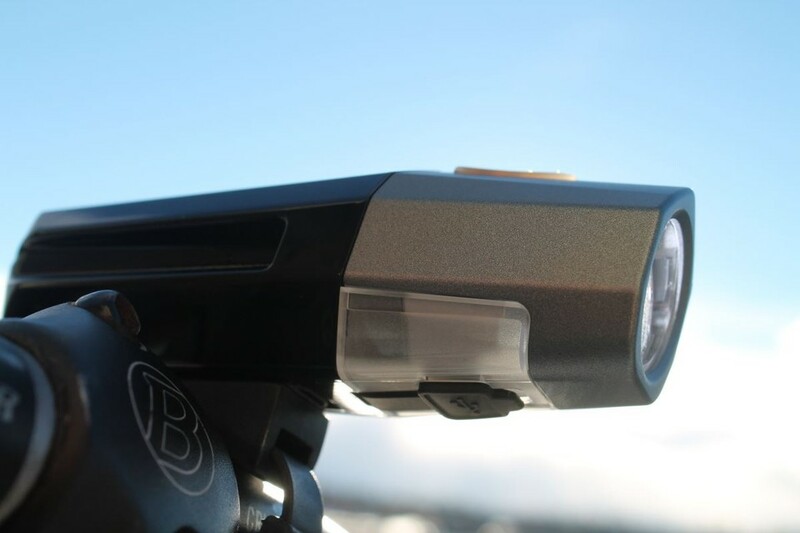 Bontrager has been selling some very basic lights for years, but the company is hardly well-known as a lighting company. That's why I was so pleasantly surprised when I started using the Ion 700 they offered to send me. 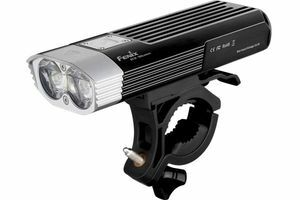 It gets almost everything just right, and is one of the most impressive first attempts at a high-power single-piece rechargeable light I've ever seen. The first thing I noticed is that the Ion 700 is compact. It's narrower than many comparable lights, with a sleek and clean design. The low-profile mount keeps the light just barely above the handlebars. It's operated by a single button on the top, and has a USB micro port on the bottom for charging. 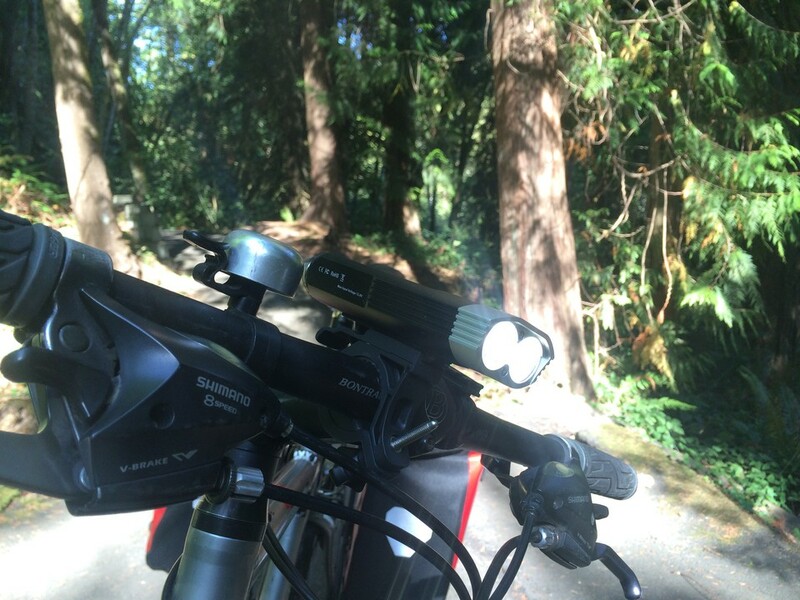 The Blaze XLR is Planet Bike's first rechargeable headlight offering. Review by Nathan Hinkle, Feb. 9, 2015, 6 a.m. 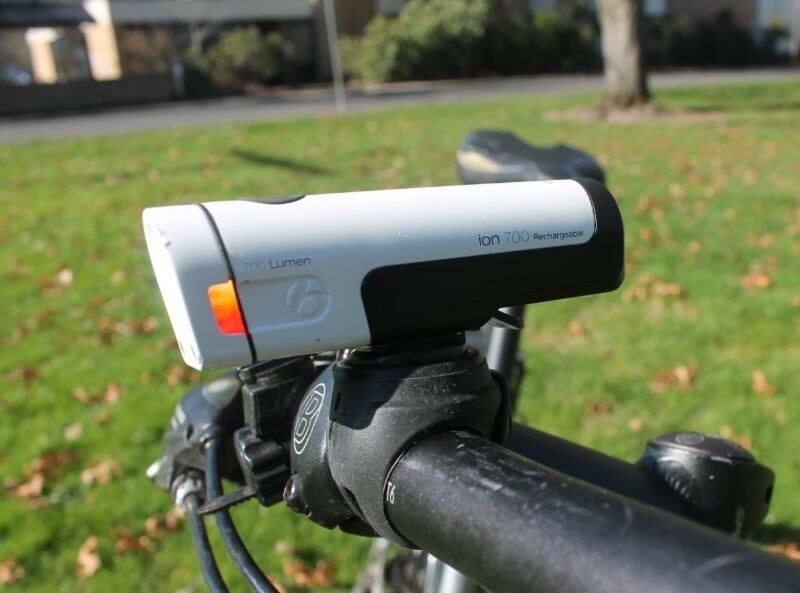 Planet Bike was among the first popular vendors of LED bike headlights, and its Blaze 1W and 2W lights were once very common among bike commuters. The industry has progressed quickly though, and for many years Planet Bike was falling behind with no high-intensity or rechargeable LED offerings. With the debut of the Blaze XLR, Planet Bike has finally released a bright rechargeable light, and it has a lot to offer. The optics on the Blaze XLR are unremarkable, putting out a circular beam like most other entry-level single-piece headlights. 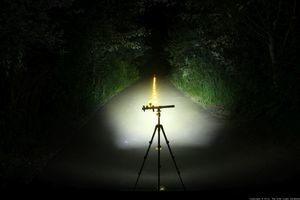 The beam has a slight hot spot, but is sufficiently broad to illuminate obstacles and debris on a road or path. Review by Nathan Hinkle, Jan. 5, 2015, 12:08 a.m.
Portland Design Works has been putting out classy, well-designed lights for several years now. 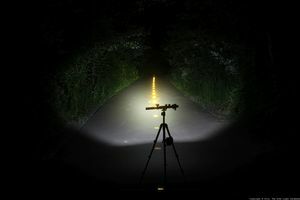 The Lars Rover is their first foray into the ever-expanding arena of USB-rechargeable high-intensity headlights, following on the heels of their rechargeable Aether Demon taillight from 2013. It comes with a nice variety of high-quality mounting options, is certified to the FL1 Standard, has decent optics, and an excellent selection of flash patterns. Read on for more details. The Lars Rover has a fairly standard circular lens. 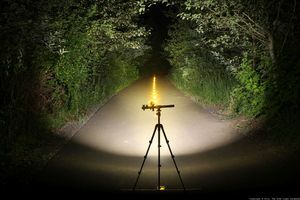 The beam pattern is fairly smooth, with good throw but enough flood to illuminate the sides of a road. There is no horizontal cutoff; the beam is almost completely symmetrical. This means it's necessary to tilt the light down somewhere to avoid blinding oncoming traffic.